Miami is a city located in the south of Florida, it is identified by its beautiful beaches, its urban environment and its great tourist attractions, and you can enjoy a warm climate during the twelve months of the year. Miami Beach is more than just the beaches of sand, a sparkling sea, Sun throughout the year and fun. It is a cosmopolitan city, with numerous world-class restaurants, area of award-winning films industries, recordings on a daily basis and vibrant night life. As the largest historical center of the nation, it has cultural spaces of first order and an international mix of residents and visitors. It is a real world tourist destination. Visit South Beach, where the Art Deco buildings have been carefully restored to its glory of 1930 and 40, and the most beautiful people come to gather, buy, eat, and have fun. Be sure to discover the magic of Coconut Grove and its exquisite cuisine and shops. Enjoy the rich heritage of the Miccosukee Indian reservation on the edge of the Everglades. Alligators have ventured into Miami communities and on major highways. Miami is partitioned into many different sections, roughly into North, South, West and Downtown. The heart of the city is Downtown Miami and is technically on the eastern side of the city. This area includes Brickell, Virginia Key, Watson Island, and Port Miami. Downtown is South Florida’s central business district, and Florida’s largest and most influential central business district. Downtown has the largest concentration of international banks in the U.S. along Brickell Avenue. Downtown is home to many major banks, courthouses, financial headquarters, cultural and tourist attractions, schools, parks and a large residential population. East of Downtown, across Biscayne Bay is South Beach. Just northwest of Downtown, is the Civic Center, which is Miami’s center for hospitals, research institutes and biotechnology with hospitals such as Jackson Memorial Hospital, Miami VA Hospital, and the University of Miami’s Leonard M. Miller School of Medicine. The southern side of Miami includes Coral Way, The Roads and Coconut Grove. Coral Way is a historic residential neighborhood built in 1922 connecting Downtown with Coral Gables, and is home to many old homes and tree-lined streets. Coconut Grove was established in 1825 and is the location of Miami’s City Hall in Dinner Key, the Coconut Grove Playhouse, Coco Walk, many nightclubs, bars, restaurants and bohemian shops, and as such, is very popular with local college students. It is a historic neighborhood with narrow, winding roads, and a heavy tree canopy. Coconut Grove has many parks and gardens such as Villa Vizcaya, The Kampong, The Barnacle Historic State Park, and is the home of the Coconut Grove Convention Center and numerous historic homes and estates. Miami has a tropical monsoon climate with hot and humid summers and short, warm winters, with a marked drier season in the winter. Its sea-level elevation, coastal location, position just above the Tropic of Cancer, and proximity to the Gulf Stream shapes its climate. With January averaging 67.2 °F (19.6 °C), winter features mild to warm temperatures; cool air usually settles after the passage of a cold front, which produces much of the little amount of rainfall during the season. Lows occasionally fall below 50 °F (10 °C), but very rarely below 35 °F (2 °C). Highs generally range between 70–77 °F (21–25 °C). Hurricane season officially runs from June 1 through November 30, although hurricanes can develop beyond those dates. The most likely time for Miami to be hit is during the peak of the Cape Verde season, which is mid-August through the end of September. In addition to such annual festivals like Calle Ocho Festival and Carnaval Miami, Miami is home to many entertainment venues, theaters, museums, parks and performing arts centers. The newest addition to the Miami arts scene is the Adrienne Arsht Center for the Performing Arts, the second-largest performing arts center in the United States after the Lincoln Center in New York City, and is the home of the Florida Grand Opera. Within it are the Ziff Ballet Opera House, the center’s largest venue, the Knight Concert Hall, the Carnival Studio Theater and the Peacock Rehearsal Studio. The center attracts many large-scale operas, ballets, concerts, and musicals from around the world and is Florida’s grandest performing arts center. Other performing arts venues in Miami include the Herbert and Nicole Wertheim Performing Arts Center, Gusman Center for the Performing Arts, Coconut Grove Playhouse, Colony Theatre, Lincoln Theatre, New World Center, Actor’s Playhouse at the Miracle Theatre, Jackie Gleason Theatre, Manuel Artime Theater, Ring Theatre, Playground Theatre, Wertheim Performing Arts Center, the Fair Expo Center and the Bayfront Park Amphitheater for outdoor music events. The city is home to numerous museums as well, many of which are in Downtown. These include the Frost Art Museum, History Miami, Miami Art Museum, Miami Children’s Museum, Miami Science Museum, Vizcaya Museum and Gardens, and the Miami-Dade Cultural Center, home of the Miami Main Library. Miami is also the home of the world’s largest art exhibition, dubbed the “Olympics of Art”, Art Basel Miami. 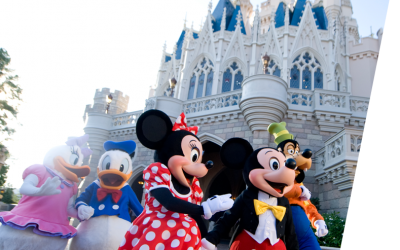 The event is held annually in December, and attracts thousands of visitors from around the world. Miami is a city located in the south of Florida, it is identified by its beautiful beaches, its urban environment and its great tourist attractions, and you can enjoy a warm climate during the twelve months of the year. 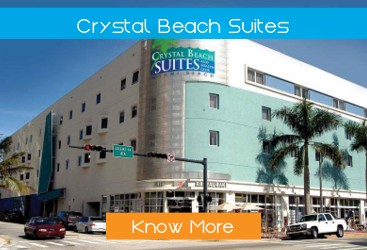 From intimate boutique hotels to luxury resorts, accommodations in Greater Miami come in every shape and size. Browse Miami and Miami Beach hotels by area, style, price range and amenities, and find your perfect home away from home. Miami International Airport serves as the primary international airport of the Greater Miami Area. One of the busiest international airports in the world, Miami International Airport caters to over 35 million passengers a year. Miami is home to one of the largest ports in the United States, the Port Miami. It is the largest cruise ship port in the world. The port is called the “Cruise Capital of the World” and the “Cargo Gateway of the Americas”. Only a few minutes away from the excitement of South Beach, our all-suite accommodations are unlike any other in the area. Perfectly located in the heart and beachfront of Millionaires Row. 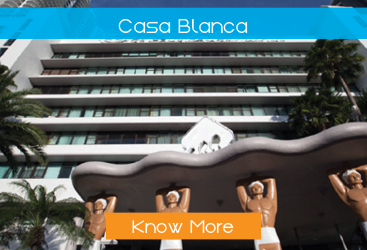 The Casa Blanca Hotel is an historic Miami Beach oceanfront landmark. 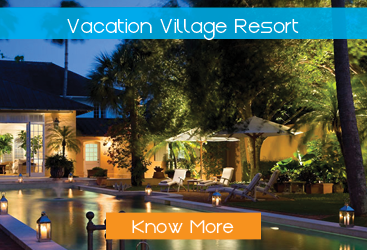 Vacation Village Resorts strives to provide vacationing opportunities that can be shared with loved ones and future generations.